Hi crafty friends and welcome back to our crafty space. 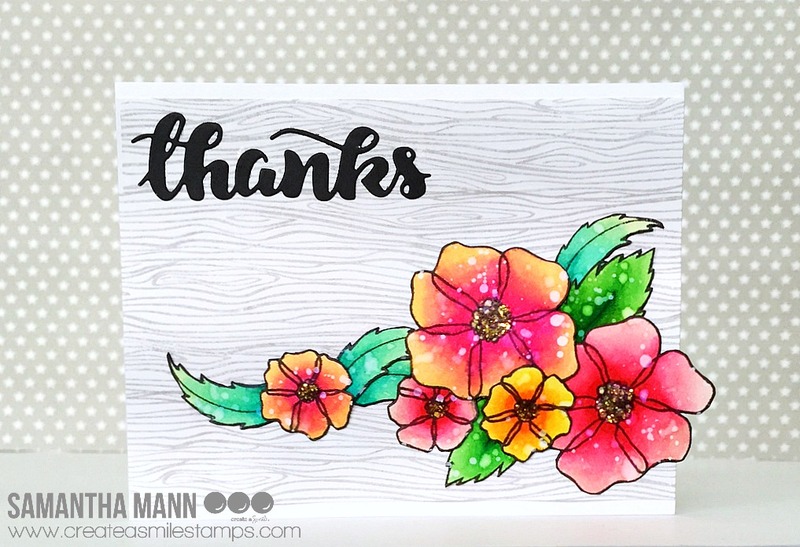 Raluca here with a new card using the beautiful "Time to say thanks" stamp set. 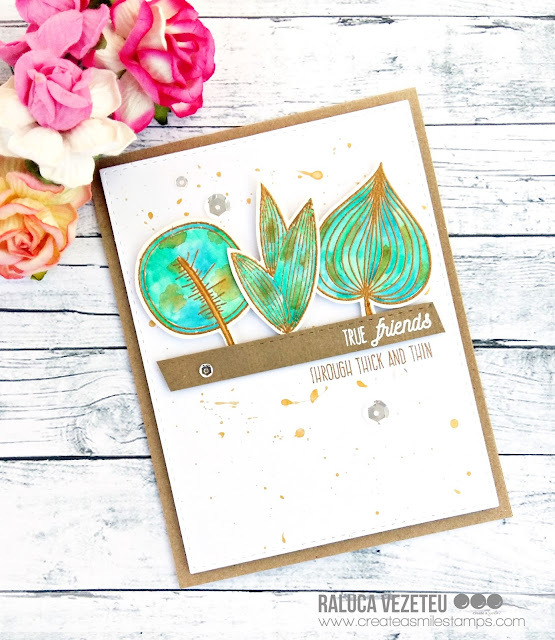 I colored these leaves in March during the #thedailymarker30day challenge and I finally decided to make a card with them. First thing was to die cut a white panel using the largest stitched rectangle and add gold splatters all over it. I mounted the leaves using some foam tape and under them I added a sentiment from the "Friends like you" set. 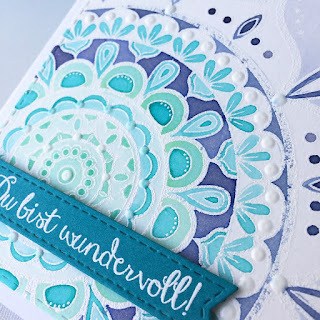 I stamped the first part of the sentiment in VersaMark and white heat embossed it on a kraft strip of cardstock and the second part I stamped it directly on the white panel. I glued a few clear sequins, mounted the panel on a kraft card base and my card was done. So as you can see the card above, it's not complicated and quite clear how it was put together. But bright colour and kraft cardstock is one of my favourite combinations and, dare I say it, a classic. Okay so let's make this snappy. Flowers and leaves stamped out on a copic friend paper using Memento Tuxedo Black Ink and go wild with the copic markers. Stamp out the sentiment with Versamark and dust it with white embossed powder. Finish it off with bright enamel dots. 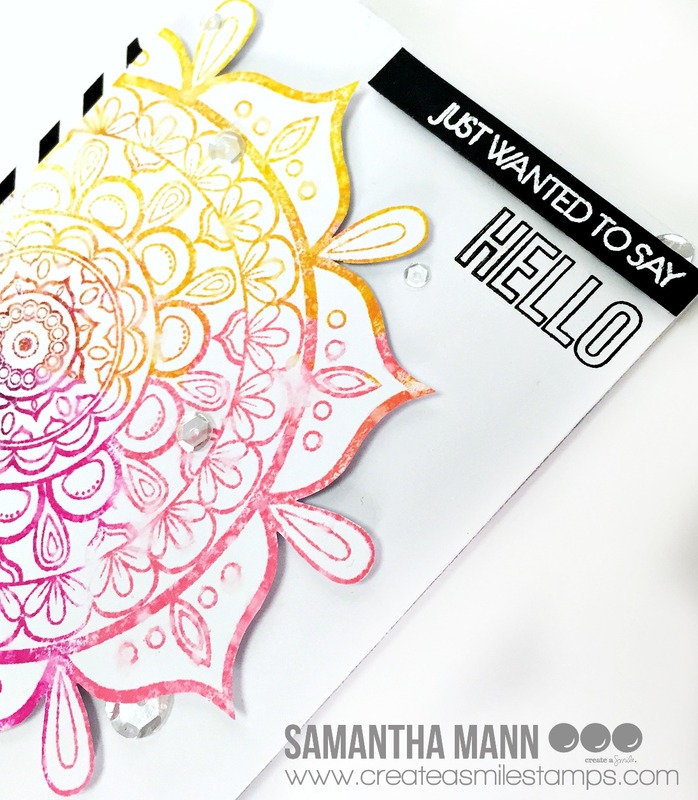 Samantha here and today I'm sharing a super pretty, and card that just plain makes me happy to look at! I have used that background stamp a millions times, I think! And I'll use it a million more, I just know it! This time, I wanted to add color with Distress Markers! - BOOM - gorgeous! ha! - attach all of your images and add sequins! If you wanted to, you could stamp this directly onto the card front, and that would look beautiful! I just like to have a little height to add some interest and litter nooks to hide and tuck in sequins! 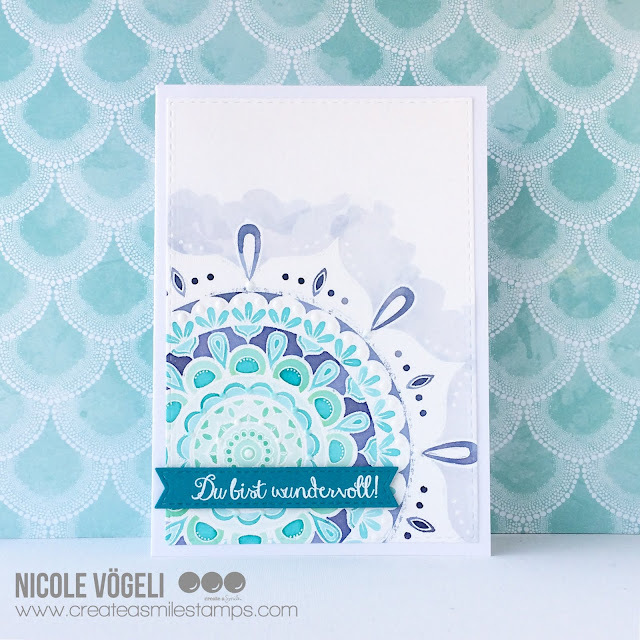 That Mandala Cling stamp...swoon! Am I right? Who else just LOVES that image?! I swear, I could use it on every card! The sentiment is from Just Saying Hello! I also used some Pretty Pink Posh clear sequins! Do you follow us on Instagram? Are you in our Facebook Fans group? Why not?! We want to see what you make! Share it and tag us! Have you seen the other three techniques? 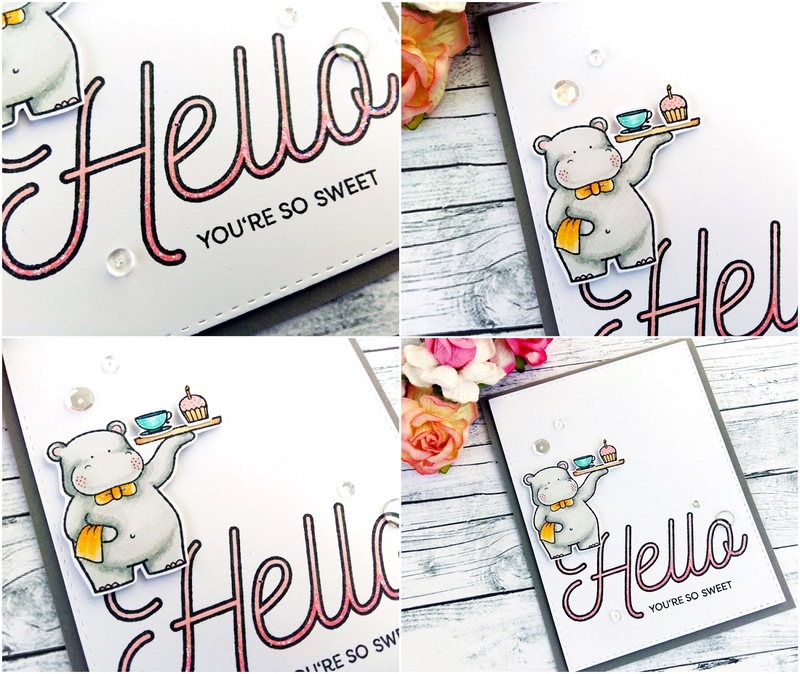 I am in love with this stamp set and I truly enjoy coloring this cute hippo. I wanted to make a clean card with a simple design, yet striking. On a white panel die cut with the largest stitched rectangle I stamped the biggest Hello from the "Just saying Hello" stamp set. I colored it with Nuvo markers in a ombre look. Underneath I stamped another sentiment from the "Served up!" set. Then I stamped and colored the hippo and a couple of the little sweets from the set. I glued everything to the panel and I added a few clear sequins. I mounted the panel on a dark grey card base using craft foam and my card was done. Hi there it's Anja again this time with a card full of flowers. A friend asked me to make a card for a birthday girl who is crazy about flowers. 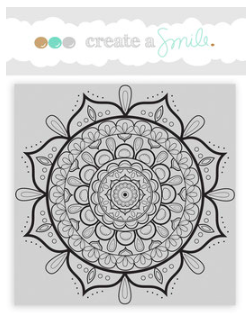 Well that shouldn't be to difficult should it with all those lovely flowerstamp sets from create a smile? 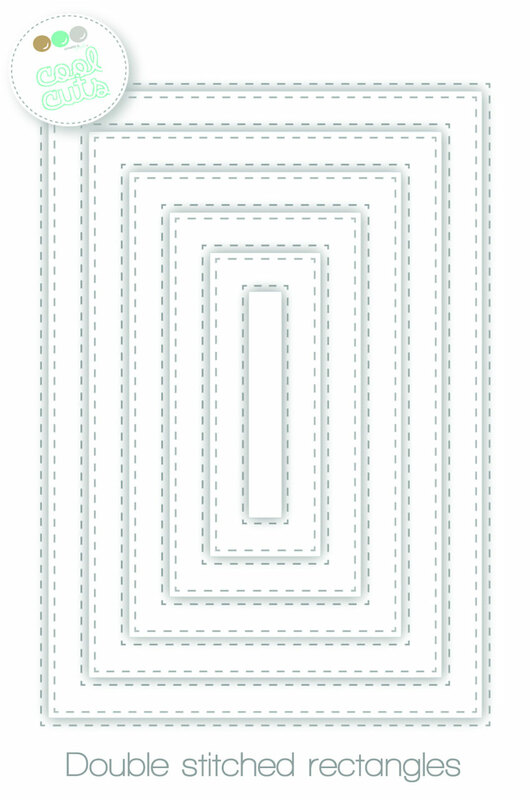 I diecut a rectangle out of white cardstock and a strip out of some patterned paper. I stamped several flowers and leaves using different stampsets and colored them with copics and cut them leaving a little white outline. I arranged the flowers and leaves thus forming a floral bouquet and adjered everything to the cardbase. Stamped the sentiment and to finish the card i adhered three clear droplets and gave the flowers some accents with a white gelpen. Crokisses, Magic Flowers, Botanical love and Time to say thanks. You can Always combine the different sets together to build a nice card. Hey crafters! How have you been? In between days, I've been painting my little journal with repeating pattern using watercolour. That's what inspired me to make this card today. As you might already know, you can use stamps, any stamps, and stamp them repeatedly and you'll get a filled background just like sticking on patterned paper but with more control. That's what I did today. I've stamped the flower and leaves using Distress Ink Antique Linen. It's my favourite distress ink colour to use when I want that no-line effect. Basically, it makes it looks like I've handdrawn them. Use your colouring medium of choice. I've chosen to watercolour but you can use copics or any other medium that your heart desires. Add a bold sentiment to ground the whole background and so that the sentiment doesn't get lost in the busy background. 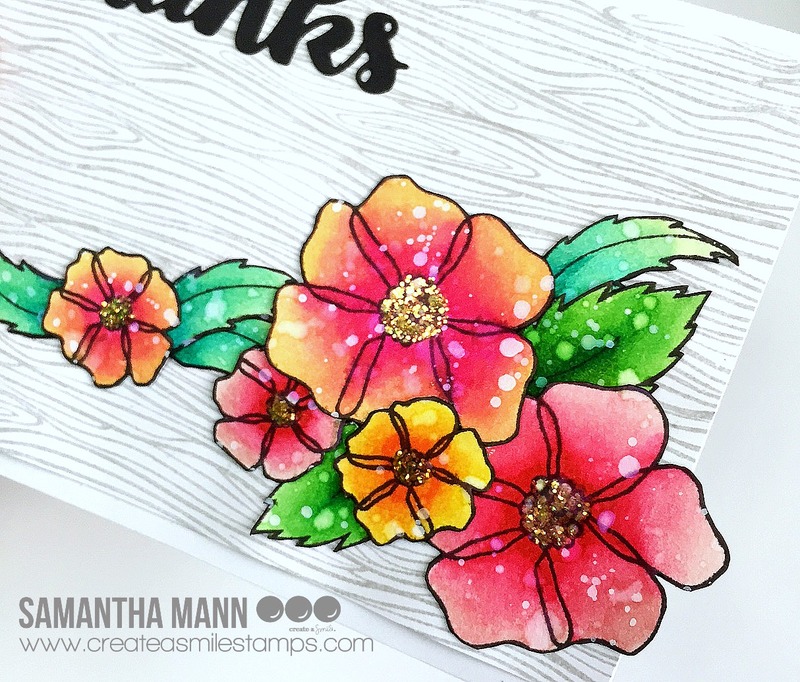 Samantha here and today I'm sharing a fun card inspiried by summer and my hibiscus tree in the front yard! I really just wanted to do some light watercoloring, so I chose some of my favorite floral images and got to work! 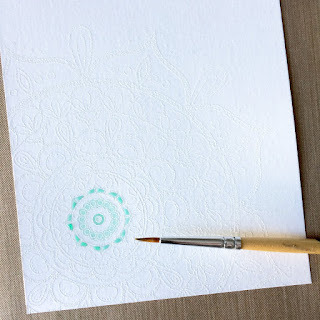 - on watercolor paper, stamp and color your images! I used Zig Clean Color Real Brush Markers, but any medium will work! I just love how BRIGHT and BOLD they are! 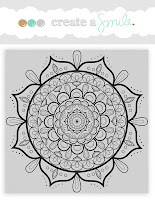 - once the images are dry, fussy cut out and arrange on your background. - when the images are dry, and attached to the background, add some glitter to the centers for some real pizzazz! 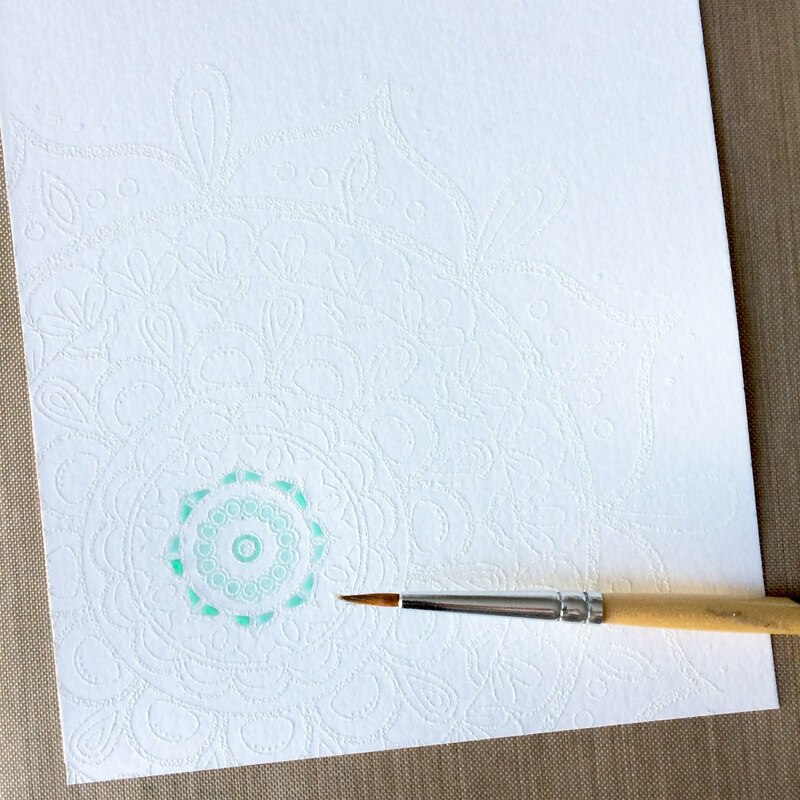 If watercoloring is not your thing, you can create this same card with copics, colored pencils or any other medium that you prefer! Love love love love this card! 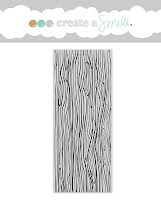 The background was created with the Cling Woodgrain stamp in a light grey! 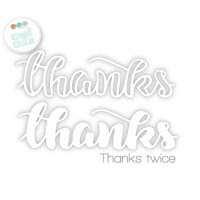 The sentiment is from the Thanks Twice die set! 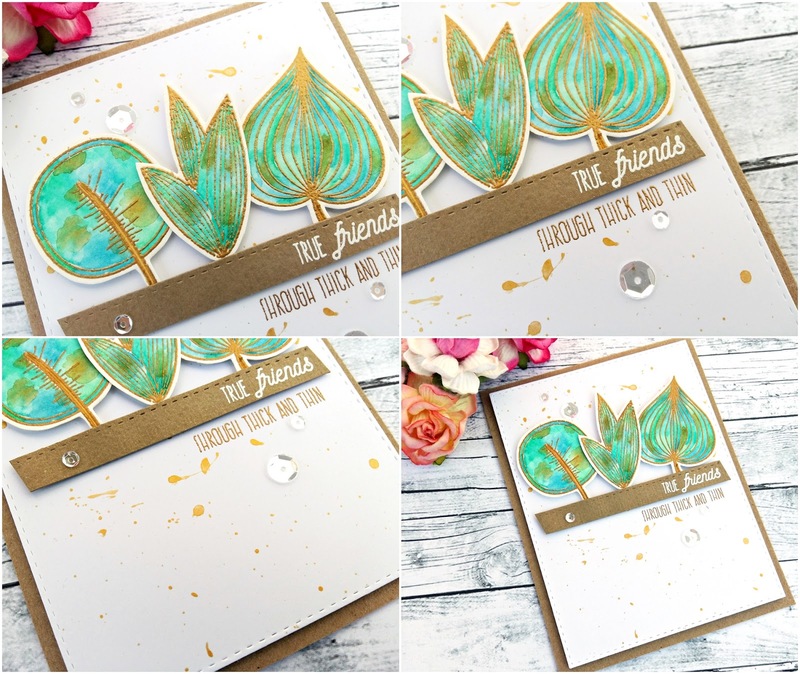 and the gorgeous flower and leave images are from the Magic Flowers stamp set! 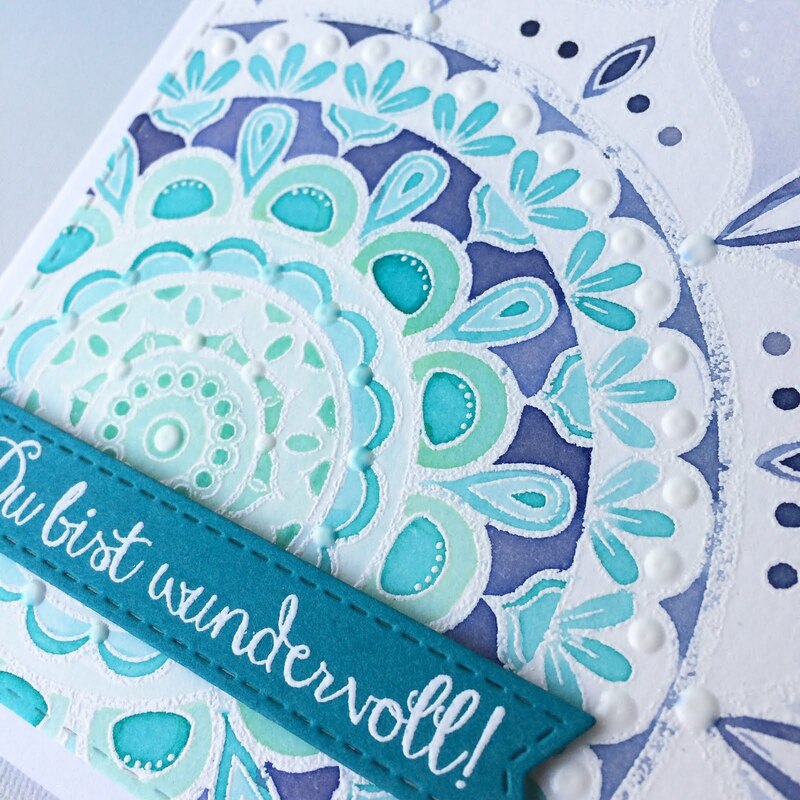 Did you know that Create a Smile stamps offers the same sets in English AND German? Oh yes! It's one of the most unique and wonderful things about this company!